Okay, so the weather didn’t allow for the Cruise to actually go down to the Carberus, but instead stayed within the relative shelter of Sandringham Marina and beyond, with two laps of a 2.2km circuit on the northern side of Sandringham Yacht Club. The shortest race of the SUP VIC / Surfing Vic Flat Water SUP Championship Series, of which this was Race #5. 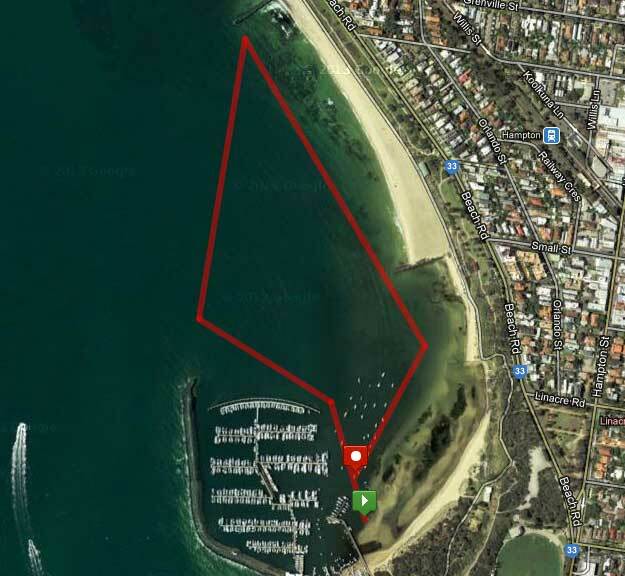 The course allowed for some relative shelter from the 10-15kn winds for a short part of the course, and a sort-of downwinder leg from the end of the breakwater to the far northern buoy, but the other two legs were a slog into the wind, a hallmark of all the races this season so far, bar the Great Melbourne Paddle. Mother Nature how cruel thine is! Despite this, 36 paddlers completed the main race, whilst SUP lesson students and the general public watched on. Chris Clarke once again showed his rising dominance of the local scene, winning from young junior Matt Nottage, who is really the young rising star of the sport. Paul Harrington once again showed his form (for an old fart Master’s competitor) coming 3rd over all and taking out the Masters category over Leon Blachos. Michael Jenkins again showed you’re never too old, winning the Senior Men’s race, and Nick Moloney won the Men’s 12’6 category. Jean Ringrose once again blitzed the competition in the Women’s Open, and Kathy Naomidis won the Women’s Masters division, with Jono Kale taking out the junior boys as Matt decided to race with the big boys. 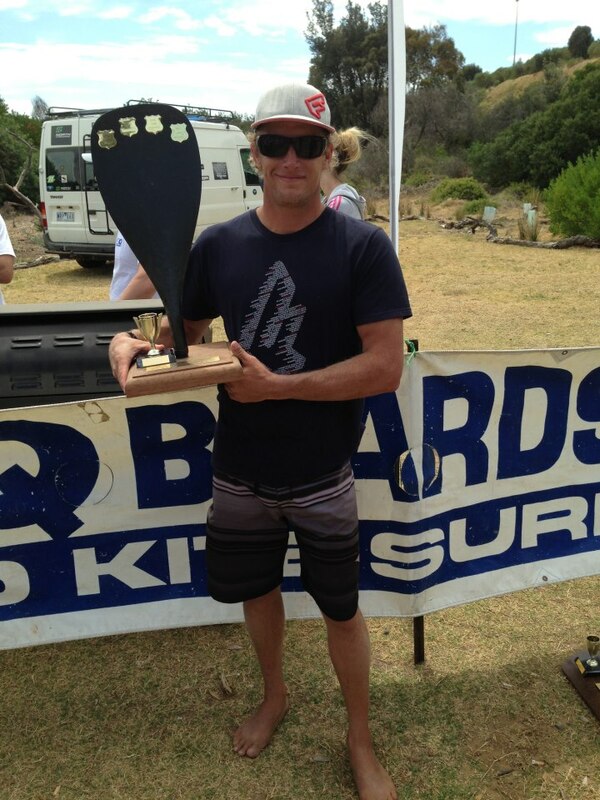 Craig Spottiswood took out the ‘non-raceboard’ category.